The Lean Six Sigma is the industry-recognised process improvement methodology known across the globe. This qualification is fully accredited by the International Association for Six Sigma Certification (IASSC). This Lean Six Sigma Black Belt classroom course runs over 8 days and includes both the Yellow and Green Belt levels for anyone who wants to become Black Belt certified. We also provide 3-day Black Belt upgrades for anyone who has recently passed their Lean Six Sigma Green Belt training and wish to study towards the top level of knowledge and understanding of the world’s foremost process improvement and quality management methodology. The course will prepare you for statistical problem solving and data-driven decision making at a strategic and enterprise level of any organisation who uses Lean Six Sigma. I recently attended the Lean Six Sigma Green Belt Training Course (IASSC). I thoroughly enjoyed this course and learned many techniques that I am now able to apply to my workplace. Despite this being an intense course with a lot of complex material that had to be covered over a period of five days, the trainer's style of delivery made this possible. The trainer brought the more complex concepts to life by facilitating activities that enabled the group to explore real life workplace problems they were currently facing using the course methods and techniques. This helped the group to apply what they were learning, which aided understanding and helped us to remember the content. The trainer's enthusiasm, extensive knowledge of the subject area and energy made this a fantastic course. Overall a very enjoyable experience. The course was interactive and very informative, being self paced i could work it around my busy work schedule. I would recommend this course and training institution to anyone. Well structured course. Mostly easy to follow, though as with everything, there were parts that I wished were more clear. But overall great. Also very helpfull staff. See ‘Lean Six Sigma Black Belt Classroom Exams’ for more info. 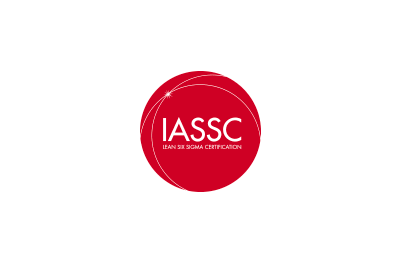 IASSC (International Association for Six Sigma Certification)	The IASSC are the only independent certification body within the Lean Six Sigma community. They dedicate their time and effort to growing and enhancing the standard of Lean Six Sigma by providing training and examination accreditations worldwide. Upon successful completion of this course, you will have made a new step in your career. You'll be ready to sit your exams to receive a globally recognised distinction as a Lean Six Sigma Black Belt. The exams themselves are taken online, you can book them at any time that's convenient for you. Or aspiring to be in these or similar roles? If the answer to any of those questions is ‘yes’, then this course is right for you. Some use it to enhance customer loyalty or boost customer retention. Others are focused on reducing manufacturing cycle times, often achieving reductions of 35% after implementing Six Sigma! Entrepreneurs even use it keep employees and staff motivated! Think about the value someone that can achieve all of the above would bring to a company - wouldn't you want to be that person? We want to help students who are funding their own education by providing various flexible payment plans and pricing options. Our training hours are 9am to 5pm. These may vary depending on the pace of the class. How many days is the Lean Six Sigma Black Belt course? The Lean Six Sigma Black Belt course has a duration of eight days. Do I need to take the training over eight consecutive weekdays? It’s entirely up to you - the training can be consecutive or split. Exams are delivered online, speak to us if you wish to know any further details of how they're taken. What is included on this course? Is e-Careers accredited to provide training for this course? Yes, e-Careers is accredited by the International Association for Six Sigma Certification (IASSC) an Examining Institute for Lean Six Sigma. I already have Green Belt, how do I take the course? We offer a Lean Six Sigma Black Belt Upgrade which is the final three days of the course. Can I verify your accreditation? Yes, you can verify our accreditation by visiting the IASSC website. Is there homework each night? The trainer will set you homework to do each night to ensure you have the best possible chance of succeeding in the exam. Do you offer group booking discounts? Yes, please talk to our learning advisors regarding your requirements. What is the size of the class? Which countries recognise IASSC Lean Six Sigma Qualification? 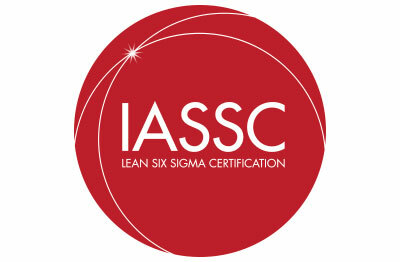 An IASSC qualification is the only independent, globally recognised qualification for Lean Six Sigma. Can I pay for this course online? Yes, you can pay online click on Book button and follow the online instructions. Yes, you can spread the cost of your training with our flexible payment plans (subject to a credit check). How many hours are in the course? The Black Belt Classroom course has a duration of 64 hours, with an additional six months of eLearning access. Improve business processes and quality, or train people who are part of the process using the world-renowned principles in Lean Six Sigma. Learn the PRINCE2® principles, themes and processes to lead projects effectively and confidently with our accredited PRINCE2® Foundation & Practitioner classroom training and exams. Learn the Agile Project Management methodology in a classroom setting so you can benefit from the experience and support an industry expert has to offer. Hello, I am interested in your "Lean Six Sigma Black Belt Classroom".